The Pursuit of Godliness argues that holiness or sanctification is not something that someone achieves, but entails something a person becomes. Donald L. Alexander defines sanctification as God's taking possession of people in Christ and setting them apart by restoring the character traits originally present in the creature created in God's image. He derives evidence from the Bible that this restoration lies in the fruit of the Spirit and that Christ died not only to bring an end to sin but also to bring about a newness of life. 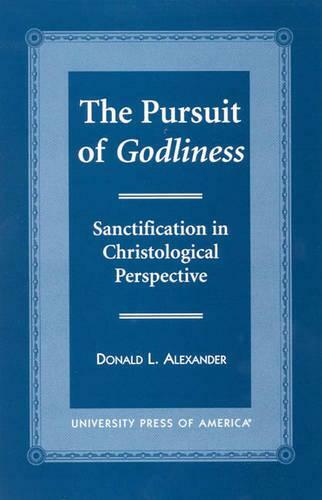 Alexander places the biblical teaching on sanctification within the context of personal spiritual maturity, rather than as an obligation to fulfill specific religious requirements. He suggests that a developmental connection exists between spiritual formation and personal maturity. This approach connecting sanctification with personal development brings about a new and suggestive understanding of sanctification.